I'm always in the mood for a slice of chocolate cake, or two. Recently I've been trying to curb my sweet tooth a little. Chocolate and biscuits are the first thing I reach for when I'm hungry rather than having a proper balanced meal. Oops. Surprisingly (or not) I only managed a week before baking a chocolate cake for the weekend. And I'll skim over the fact that I only lasted a few days before pouring a whole bag of mini eggs into my mouth. Because, well mini eggs! And, another surprise, as much as I LOVE mini eggs, there's nothing that can beat homemade. Have 2, 3 or even 4 slices and I'm pretty sure it's 'better' than having something shop-bought with all those suspect ingredients. Well that's my reasoning anyway. 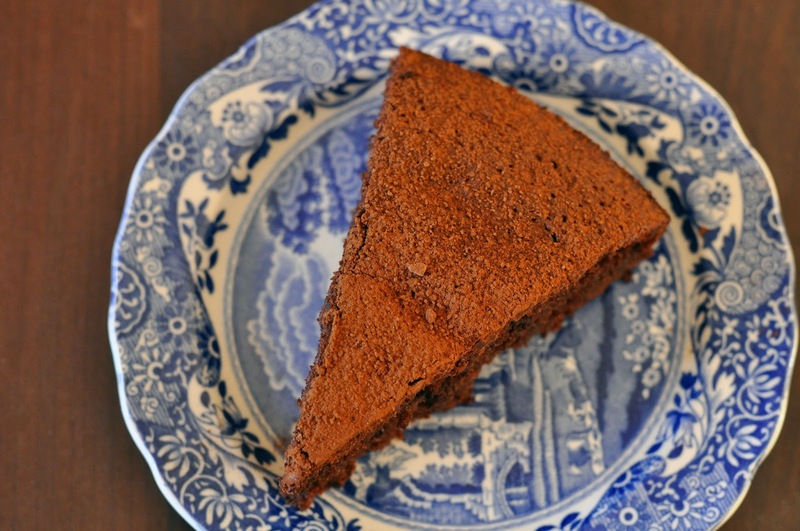 Seems a bit rich blogging about a recipe for chocolate cake and healthy food choices. But that's my life! And now to the point. This cake is deliciously nutty, moist and a little boozy. Feel free to swap ground almonds for hazelnuts and Amaretto for Frangelico or whisky. Whatever takes your fancy. The cake can be stored for 4-5 days in an air-tight container so can be made ahead of time if you need. Heat the oven to 180 degrees and grease and line a 23cm round cake tin. In a mixer, whisk the eggs and caster sugar together until pale and fluffy, approx 5 minutes. Continue to whisk on a low speed whilst adding the butter, Amaretto and cocoa powder in stages, alternating between each until incorporated. Tip the baking powder, vanilla salt and ground almonds in and fold in with a spatula until just combined. Don't fold too much and overwork the mix. Pour into the prepared tin, smooth the top and bake in the centre of the oven for 35-40 minutes. Once cooked, the edges should start to come away from the sides and a skewer inserted into the middle will come out clean. Remove from the oven and leave to cool for 10 minutes. Remove from the tin and place on a wire rack to cool fully. Dust with a generous helping of cocoa powder or icing sugar and serve with strong coffee and Amaretto spiked cream! N.B. Vanilla salt - great to balance out sweet flavours when baking, but its not completely necessary. Feel free to use a small pinch of salt and a dash of vanilla extract instead. Alternatively, make a jar ahead and use in everything you bake! Recipe here from Joy the Baker. 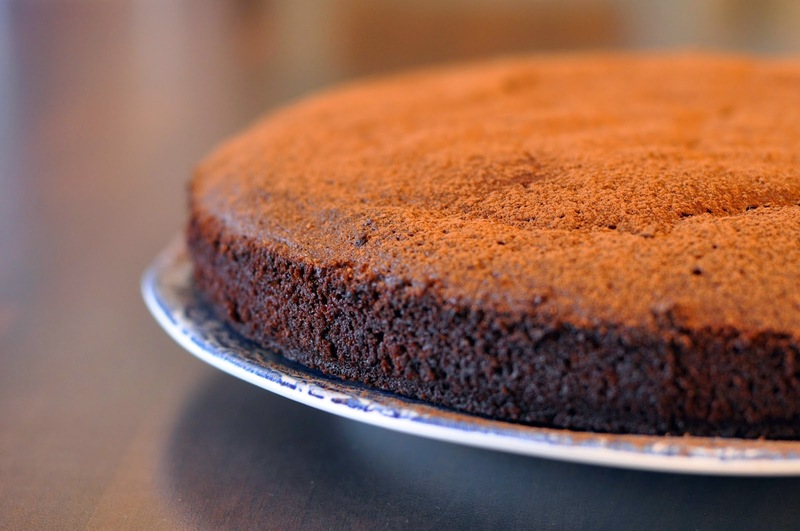 Chocolate and chestnut torte from Franglais Kitchen, here. Popping candy brownies made with almonds from Emily's Recipes and Reviews, here. French chocolate cake from Vagabond Baker. here. You had me sold on this recipe because it had ground almonds in it. Then I saw that it has amaretto in it as well and I am in heaven. This cake looks so delicious. I'll definitely have to give it a try. I was thinking just now, if you didn't like Amaretto for some strange reason then you could always put espresso in. But I'm not saying that I'm going to do that, at all...because AMARETTO!!!!! Ah gosh this is being added to the top of my 'things I need to bake' list! Looks so moist, really need some cake right now.